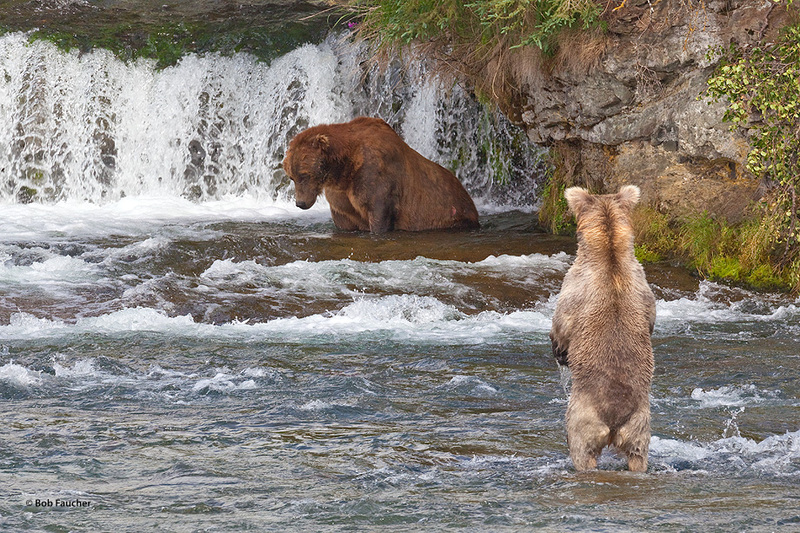 Subadult bear watches a mature bear to learn his fishing tactics. In this case the older bear is sitting in a hole, motionless, waiting for the fish to inadvertently bump into his feet or legs, then scooping them up quickly. Photo © copyright by Robert Faucher.